This Travel Tale comes to us from Wendy Klausner, Senior Adventure Specialist at Nat Hab. 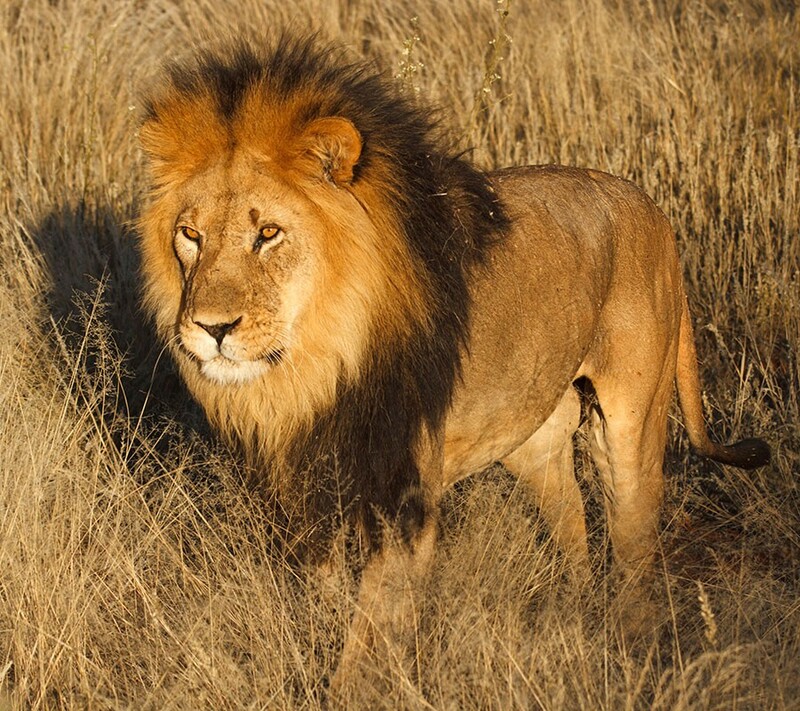 We saw some of the most beautiful male lions in Zambia’s South Luangwa National Park. I have been planning trips to Africa for almost 20 years. I didn’t know, when I was in college and went with my father to South Africa for the first time, that my career would revolve around travel as an Adventure Specialist at Nat Hab, or that Africa would become my favorite destination. Back then, it didn’t take much to be able to get away from the relatively few crowds to be found in Africa. But things have definitely changed over the years, as more and more camps and lodges have been built to accommodate the growing demand for safari travel. Some are very fancy and cater to every conceivable whim. However, I love to go to Africa to be in the remote bush and feel like I am removed from civilization. Zambia provided just that experience for me. It was virtually unchanged since my last visit in 1995. I stayed at Mfuwe Lodge on arrival, centrally located as a base for exploring wildlife-rich South Luangwa National Park, then moved on to more remote camps farther afield, each of which accommodated a maximum of just eight guests, for a genuine wilderness experience. Each camp had a unique feel, with different settings, view and décor. Walking safaris were pioneered in Zambia, and all the camps offered this distinctive way to encounter the wild landscape and its animal residents. 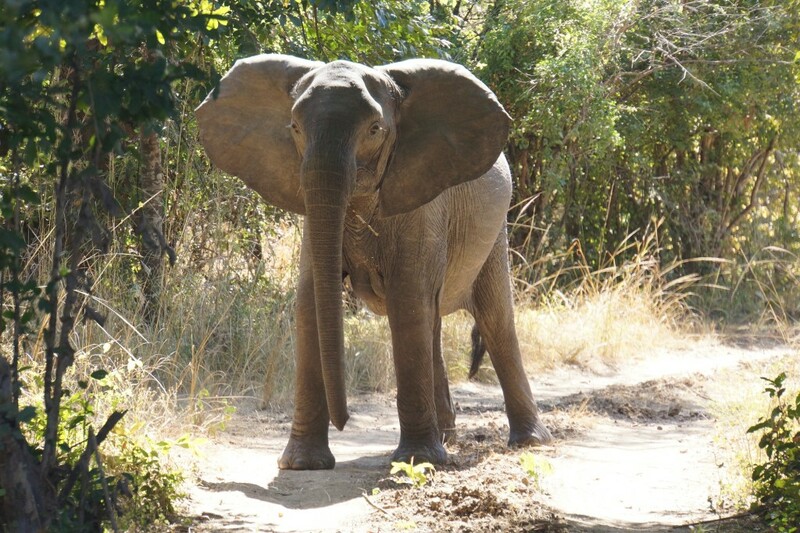 The walking safari guides in Zambia are superb, and I learned new and interesting things on every walk. We never saw another vehicle during game drives, which gave us close proximity for great photos like this one. On game drives, we never saw another vehicle. The solitude was the perfect context in which to spy lions, cheetahs, a spotted leopard with cubs, and wild dogs guarding their den. Sunsets were incredibly picturesque, especially when viewed along the banks of Zambia’s mighty rivers, or even while dangling our toes in the river. I’ve spent a lot of time exploring many parts of Africa, and Zambia is really something special. I hope you’ll make a point to consider it for your next safari, as the experiences here are unique! 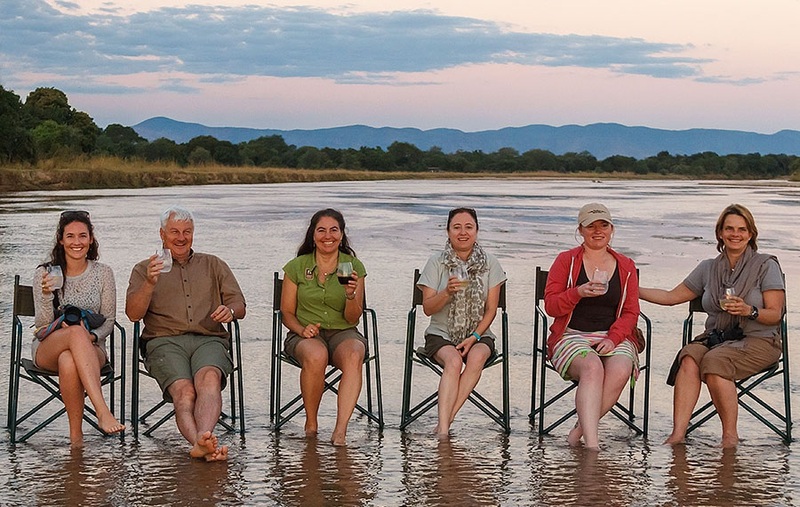 Zambia has some of the most breathtaking settings for enjoying a sundowner with new friends.